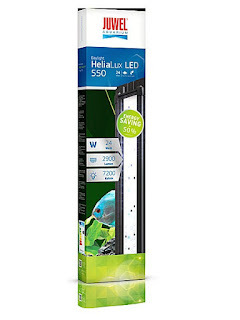 After years of waiting Juwel are finally set to release an LED light unit called the Helialux LED to fit their aquariums! There will finally be an alternative option to their tube lighting that comes in a light unit with a separate controller. This will mean all of your fish will look even more colourful and striking in your tank as well as making your plants thrive and grow a lot more. The Helialux controller will mean you will have full power over what your tank looks like at any point in the day or night. This will allow you to cater for your fish better and in turn make them less stressed and happier. A release date is yet to be announced but we will update as soon as we find out.